Models of Chinese Chang'e-4 Relay Satellite, right, and Lunar Probe Consists are displayed during the 12th China International Aviation and Aerospace Exhibition in Zhuhai city, south China's Guangdong province, Nov. 7, 2018. Unlike other nations, China’s space ambitions are centered on wealth creation through a space-based economy. 2049 is an important year for the People’s Republic of China (PRC). That year the PRC (established in 1949) will celebrate its 100th birthday. Consequently, past and current Chinese leaders have set two interrelated centennial goals: By 2021, the year the Chinese Communist Party (CCP) celebrates the 100th anniversary of its founding, China will aim to become a “moderately prosperous society in all respects,” and double its GDP per capita from its 2010 level ($7,924). By 2049, China will be a “fully developed, rich and powerful” nation, leading in outer space, artificial intelligence (AI) and innovation. President Xi Jinping has specified that China’s space program, part of the national rejuvenation of the Chinese nation, has a critical role in achieving these two interrelated goals. Unlike NASA, which is aimed at space exploration and space science missions, China’s space program is aimed at long-term wealth creation for the Chinese nation, by utilizing a space-based economy. The global space economy today is worth $350 billion but is predicted to be worth $2.7 trillion by 2040. Added to this is the significant economic potential from future space mining. Scientists infer that a small platinum-rich asteroid, just 200 meters in length, could be worth $30 billion. Asteroid 2011 UW158, which sailed at a distance of 1.5 million miles from Earth in July 2015, was worth an estimated $5 trillion in platinum. The personal investments of CCP leaders like Mao Zedong, Deng Xiaoping, Jiang Zemin, and now Xi in China’s space program offers several critical insights. First, given China is predicted to be the foremost global economy by 2050, the country has an urgent need to invest in future resource bases since fossil fuels will become scarce by 2052-2060. Even while investing in the capacity to mine resources from continents like Antarctica, China is investing in the other lucrative frontier: outer space. [T]he lunar South Pole is one of the most compelling places in the entire Solar System… permanently shadowed craters may harbor reservoirs of ice and other volatile compounds that could serve as a tremendously valuable resource for future explorers. Additionally, these volatile deposits could contain a priceless record of water composition dating back to the beginning of our Solar System, an incomparable dataset for astrobiology investigation. Finally, a few mountain peaks near the pole (just west and east of the rim Shackleton crater) are illuminated for extended periods of time, which could provide near-constant solar power for a permanent lunar outpost sometime in the far future. If we want to build a scientific research station on the moon, we will need to land multiple probes within the same area so that they can be assembled easily into a complex, which requires even greater landing accuracy…So solving the challenges of the Chang’e-4 mission can lay the foundation for the following lunar exploration and future landing on other planets. For China, a lunar base is a means to accomplish its goals of asteroid mining, deep space exploration, and exploitation. A base on the moon, with industrial capacity to build spacecrafts by using lunar resources, will bring down the costs of inter-planetary travel. Launches from Earth require 22 times more energy than launches from the Moon, due to Earth’s heavier gravity. A lunar base serves the distinctive purpose of providing a testing ground for human space settlement, built self-sufficiency, and mature operating techniques. The Chang’e-4 probe carried a 3 kilogram bio-regenerative life support system module consisting of potatoes, cotton, arabidopsis seeds, and silk-worm eggs. Only the cotton seed sprouted, before the China National Space Administration (CNSA) declared the experiment closed as Chang’e-4 entered a dormant mode during its first lunar night on January 15. Xie Gengxin, professor at Chongqing University and the chief designer of the experiment, stated, “Life in the canister would not survive the lunar night…We had no such experience before. And we could not simulate the lunar environment, such as microgravity and cosmic radiation, on Earth.” This experiment was aimed at understanding how seeds can be sprouted to acquire further knowledge on ensuring their survival into the lunar night. Significantly, the Chang’e-4 survived the frigid lunar night (14 Earth days), with temperatures that drop below negative 150-170 degrees centigrade, and automatically awoke itself on January 31, as the lunar day dawned. The probe went into dormant mode again for its second lunar night through February 28. According to Paul D. Spudis, in his book, The Value of the Moon, the moon’s “greatest value is its capacity to create new spacefaring capabilities through the exploitation of its material and resources.” He believed once we develop the skill to master the lunar surface and exploit its resources, humanity can become a true spacefaring species. Spudis recommended the use of small robotic rovers to traverse the lunar poles to measure for ice and other contents. 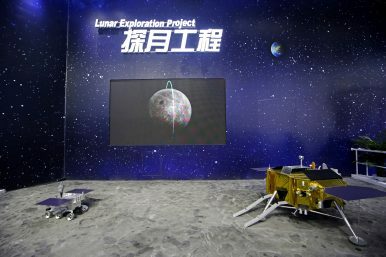 In September 2018, Li Guoping, director of the Department of System Engineering at CNSA, stated that China will be sending robotic probes to the lunar poles by 2030. These probes will explore the South Pole to analyze the lunar soil’s age, and the composition of the solar wind’s isotopes of hydrogen, carbon, helium, and oxygen. The rover that will explore the North Pole will examine whether ice exists in the permanent shadow area. The lunar poles probe will be the final step toward establishing China’s scientific research base. In 2010, CAST will finish the concept design; in 2020, we will finish the industrial level testing of in-orbit construction and wireless transmissions. In 2025, we will complete the first 100kW SPS demonstration at LEO; and in 2035, the 100mW SPS will have electric generating capacity. Finally in 2050, the first commercial level SPS system will be in operation at GEO. According to Duan Baoyan, from the Chinese Academy of Engineering (CAE), “If we have space solar power technology, hopefull [sic] we could solve the energy crisis on Earth.” In order to accomplish that goal, China started construction of the world’s first SBSP experimental plant in Chongqing, earlier this year. Technologies being tested include the construction of SBSP satellites in Geosynchronous Orbit (GEO) using automated assembly and the wireless transmission of power. Li Ming, senior vice president of CAST, asserted that China will lead the world in this critical renewable energy source. Space mining might become a new engine for the global economy… Unlike missions to bring samples back, we aim to bring back a whole asteroid weighing several hundred tonnes, which could turn asteroids with a potential threat to Earth into usable resources…Our analysis shows that maneuvering a small asteroid is feasible in principle, and could bring enormous economic and social benefits. Li’s perspective is supported by Huang Wei, the chief engineer within CAST. Wei believes that ideas such as Li’s would result in the promotion and development of futuristic space technologies. Space mining is perceived to be to China’s future advantage given the rising demands for energy within China. Toward achieving the goals of harvesting space-based resources, a China Aerospace Science and Technology Corporation (CASTC) report outlined in 2017 that China will be developing nuclear powered space shuttles by 2040. Such a long-term strategy is geared toward reusability and developing a space outpost that augments the development of space transportation capabilities. By 2025, reusable suborbital carriers should come to fruition, enabling the path towards a long-term vision. By 2045, China aims to be the leading space power, thereby setting the stage for the 100th year celebration of the establishment of the PRC. With China in control of cis-lunar space, how can one guarantee fair access for entities that are not Chinese? China’s behavior in resource rich areas like Tibet and the South China Sea (SCS) reflects a story of unilateral coercion where it denied others their rights, established presence, and then claimed those areas as Chinese territory. In Tibet, Beijing escalated its violent intervention in the 1950s despite signing a treaty with India where it committed to nonaggression. More recently, China refused to honor the Draft Conduct of Parties it signed with other SCS claimant countries and rejected the SCS ruling by an International Tribunal of the Hague. In its border disputes with Bhutan and India, China signed framework agreements in which it committed to maintaining the status-quo, while at the same-time engaging in escalatory behavior by unilaterally building roads and sending troops to disputed areas, thereby blindsiding both Bhutan and India. Of critical concern is the fact that Chinese companies engaged in Belt and Road projects urged China to establish its own China International Commercial Court as they were uncomfortable with international legal concepts and norms and instead wanted their own legal terminology. Knowing all that, we must plan for a future in outer space where China will emerge dominant and establish its own legal frameworks benefiting its space industries and emerging private space startups. To believe otherwise of a political system where loyalty to the CCP is paramount is to risk democratic access to space. China’s space program is venturing beyond simply seeking prestige and status.